Brendan Rodgers has cooled talk of a rift with the Celtic hierarchy after his side’s Betfred Cup win over Partick Thistle. Following the Parkhead club’s 3-1 victory which sees them through to the quarter finals, Brendan Rodgers spoke on BT Sport about the summer transfer activity. He admitted that they had missed out on a ‘couple of targets’ but re-affirmed his strong ties with the Celtic board. 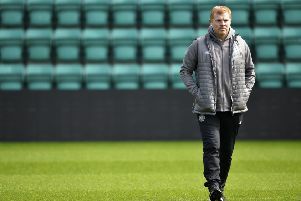 Rodgers was speaking after a testing week, which saw Celtic knocked out of Champions League qualifying by AEK Athens amid a dispute with Belgian centre half, Dedryck Boyata, who has been subject to transfer rumours and did not join the squad in Greece. Celtic ended the week on a positive note, beating Partick Thistle in the last 16 of the Betfred Cup thanks to goals from Leigh Griffiths, Moussa Demebele and Tom Rogic.